This weekend, Egyptians will go to the polls—and few of their votes will be counted. The country's elections are, after all, a pseudo-democratic façade carefully choreographed to appease the regime’s Western benefactors. For that reason, Egyptian electoral outcomes are mostly expressions of the regime’s political interests at a particular moment in time. And this year, the regime's interests have changed dramatically. During the last parliamentary contests in November 2005, which occurred at the height of the Bush administration’s “Freedom Agenda,” the regime’s most immediate goal was evading Western pressure to promote political liberalization. In turn, the regime suddenly scaled back its repression of the outlawed Muslim Brotherhood, and even permitted state-run newspapers to run complimentary personal profiles of the Islamist organization’s most prominent candidates. The result was not entirely to the regime’s liking. The Muslim Brotherhood won a shocking 88 of 444 contested parliamentary seats, and the ruling National Democratic Party (NDP) had to scramble to recruit enough independents to protect the two-thirds majority it needs for ratifying constitutional amendments. Yet the Brotherhood’s electoral emergence also gave the regime the argument it needed to dissuade further calls for democratization, signaling that free elections meant empowering radical Islamists. And it worked: Condoleezza Rice would never talk about freedom in Egypt again. Today, Cairo’s immediate strategic interests are quite different. For starters, the Obama administration has shown little interest in promoting Egyptian democratization: It has cut funding for democracy programs by half, and administration officials have commented on Egyptian human rights abuses reluctantly and rarely. 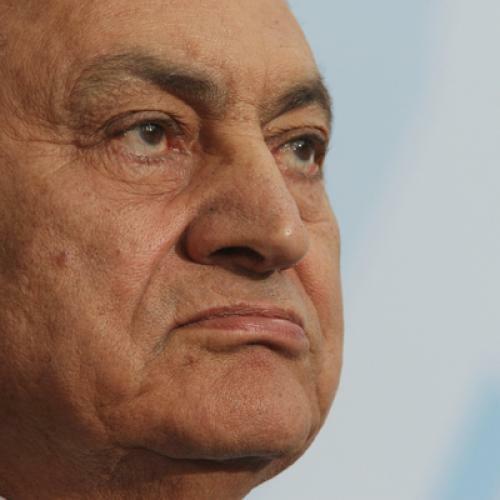 Moreover, the regime is now focused on finding a successor for President Hosni Mubarak, 82, who is reportedly terminally ill and might be unable to run in the September 2011 presidential elections. It is therefore working to cultivate a stable, moderate political environment that will facilitate the ascendance of a current regime insider, which many analysts believe will be Mubarak’s son Gamal. In recent weeks, the Brotherhood’s prospects have plunged further. Although the group initially intended to field 150 candidates, 22 Brothers announced that they would not run in early November, and the state-run High Elections Commission disqualified an additional 29 candidates a week later. On top of that, 24 additional Brotherhood candidates were arrested for using religiously themed slogans. Muslim Brotherhood leaders now expect to win as few as 20 of the 508 seats that are being contested in this election, and that number could dip even lower if the regime interferes strongly in Brotherhood-friendly polling places on election day. Yet Mubarak cannot simply do away with the opposition. To sustain the illusion of democracy, the regime must replace the Muslim Brotherhood with another party as its “foremost” opponent, and it is widely expected to anoint the secular Wafd Party to play this role. Wafd is Egypt's most historic nationalist party: It is the party of the 1919 revolution, and advocates for the establishment of a civil state, rather than the Islamic one advocated by the Muslim Brotherhood. Still, Wafd’s higher committee is composed overwhelmingly of wealthy businessmen, including a number of multimillionaire magnates with extremely close ties to the regime and State Security. It therefore has minimal popular appeal and virtually no street presence—which is why it won only six seats in 2005, and 2 percent of the vote for its presidential candidate. So, in recent months, the regime has been working to boost Wafd’s credibility. Last May, Egypt’s state-run television broadcast a debate between the two candidates vying for the Wafd chairmanship. When incumbent Mahmoud Abaza lost to billionaire Said Badawi, state-owned newspapers hailed the peaceful transfer of power. And this campaign season, newspapers are affording the Wafd Party unusually generous coverage. Its candidates are highlighted in almost every article about the elections, and the state-run Al-Ahram even published an article touting the genius of one Wafd leader who negotiated with Sudan's government to distribute 500,000 acres of land in the country's north to Egyptian peasants. By contrast, Al-Ahram frequently refers to the Muslim Brotherhood simply as al mahzura: “the banned.” Meanwhile, even as the regime disqualifies Brotherhood parliamentary candidates, it has permitted Wafd to register 250 candidates for the upcoming elections, which is second only to the NDP itself. It is widely believed that Wafd’s preferential treatment is the consequence of a deal between the party and the regime. In March, the independent daily al-Masry al-Youm reported that Wafd would win 23 seats in the upcoming elections in exchange for not supporting former IAEA Secretary-General Mohamed ElBaradei, who has been pushing for democratic reforms and might attempt a presidential run. Wafd also reportedly promised not to cooperate with the Muslim Brotherhood. Publicly, Wafd leaders deny that such a deal exists, and the party sued al-Masry for running the report, claiming that political adversaries had spread the rumor to damage its political hopes and derail its cooperation with other opposition parties. Moreover, Wafd Chairman Badawi’s recent actions suggest that his party is cooperating closely with the regime. In August, Badawi purchased the opposition newspaper al-Dustour and subsequently fired editor-in-chief Ibrahim Eissa for trying to publish an article written by ElBaradei. This act was even more suspicious because the regime has long disliked Eissa, an outspoken critic whose work got al-Dustour banned from 1998 to 2004. (Eissa was also fined 100,000 pounds in 2006 for writing about Mubarak’s corruption, and imprisoned for two months in 2008 after reporting on Mubarak’s deteriorating health.) Indeed, Eissa’s dismissal hardly seems coincidental. What do these developments mean for Egyptian society? The simplest answer is: Not much. After all, Wafd’s gains and the Muslim Brotherhood’s losses will be mere footnotes in the election. The real winner will be, as usual, the NDP, which will likely emerge holding over 80 percent of the parliamentary seats. The ruling party has promised that it will not repeat the “mistakes” of the 2005 election, and its outlawing of judicial elections monitoring will facilitate its manipulation of the results. Meanwhile, for the United States, the regime's deft management of the elections will be the latest reminder that Egypt remains one of the world’s most stable and efficient dictatorships. It will also signal that the post-Mubarak transition of power will be relatively smooth, if not entirely democratic. There will be no talk of an “Arab Spring”—just an affirmation of the authoritarian winter that has blanketed Egypt for nearly six decades and counting. Eric Trager is a Ph.D. candidate in political science at the University of Pennsylvania, where he studies Egyptian opposition parties. He was a Fulbright fellow in Egypt from 2006-2007.